Chinese Medicine takes an energetic view of the body and considers that there is a specific flow of energy through a complex system of pathways called meridians. The Chinese call this vital energy Qi (pronounced “chee”), and it drives all our physiological processes. When our system functions well, we have plenty of energy, quality sleep, no pain, healthy digestion, a strong immune system etc. But, when the demands of life disrupt this flow of energy, we may suffer from a variety of symptoms. Part of the beauty of Chinese Medicine is its ability to tailor each treatment to the individual. 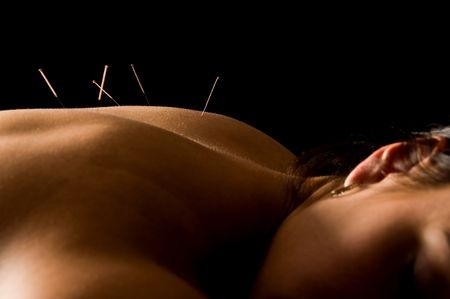 By treating the body as a connected whole, acupuncture often alleviates multiple symptoms simultaneously, improving the functioning of systems not necessarily connected in Western Medicine. Treatment protocols may include adjuncts to acupuncture such as cupping, moxibustion, electro-acupuncture, lifestyle recommendations around diet & exercise, stress management strategies as well as appropriate referrals to other providers, all with the goal of achieving results and optimal long term health.